Action! is a simple countdown app designed to help you keep track of important (or not so important) dates. Action! is a simple countdown app designed to help you keep track of important or relevant dates. Receive a push notification when a countdown reaches its goal date. Search Unsplash and Pexels for beautiful stock images to add to your countdowns. Choose if you want your countdowns to go past the goal date or stop at 0. 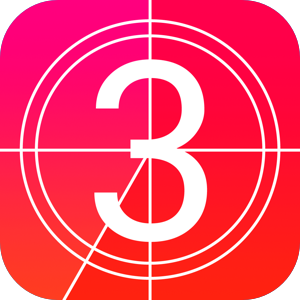 Sort chronologically or use Smart sort, which will show the more relevant countdowns first. Show years, months, weeks, days, hours, minutes or seconds. Any combination of up to five of those units. Need help? Get in touch by using one of the social icons below!